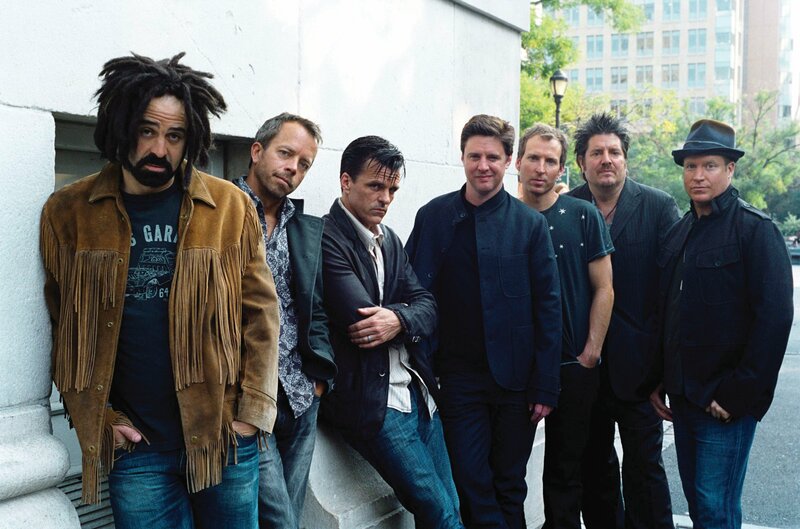 Counting Crows new album Somewhere Under Wonderland is an album of rich melodic songs with real band dynamics. Hearing the band count-off stand out rock songs like Earthquake Driver, the killer shuffle of Cover Up The Sun, the thick groove of Scarecrow and the dirty percussive riff of Dislocation is a total joy. This is clearly a band firing on all cylinders. Adam Duritz’s eloquent lyrical work, songs and expressive vocals are up front but the band including drummer Jim Bogios, guitarist David Bryson, songwriter/guitarist Dan Vickrey and multi-instrumentalists Millard Powers, David Immergluck and Charlie Gillingham deliver an ambience to the tracks as good as Tom Petty’s Heartbreakers. Palisades Park and God Of Ocean Tides are intricate songs that deliver an exhilarating feel that seduces you as the listener. It’s very safe to say there are not many bands attempting this kind of songcraft this far into their career. Elsewhere the twin guitar workout behind Bogios explosive drum fills on Elvis Went to Hollywood, the band dynamics and slide guitar on John Appleseed’s Lament and the Kennedy era references on Possibility Days offer a broad spectrum of Americana. Rollin with the Blues Boss is what a blues inflected piano album sounded like in the early 70’s. And baby that is good news, because it’s 2014. 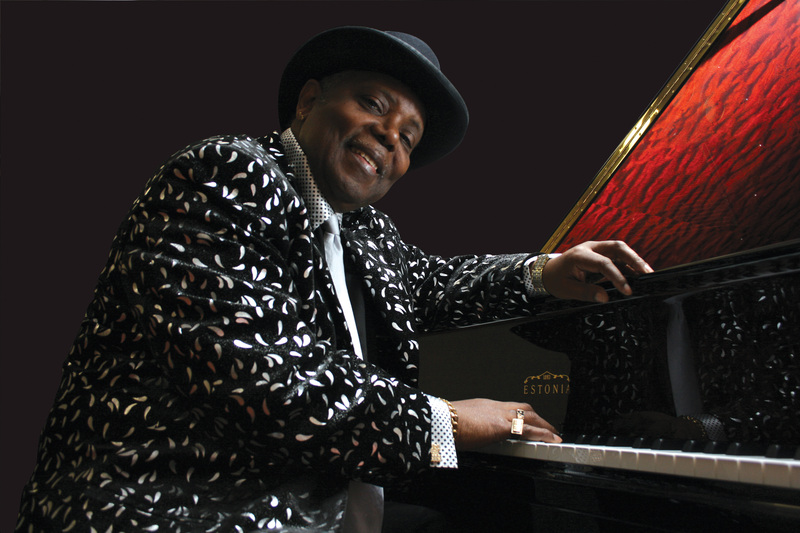 Although Kenny “Blues Boss” Wayne is known for his strident piano licks and long time road work throughout North America it’s his voice that knocks me out. In fact it’s almost a jazz inflection on Can’t Believe It, it’s upfront and funky on Leavin’ In The Morning and a southern smoky tenor on Slow Down. As a long time lead vocalist I can tell you it’s heaven listening to it’s warmth. Where is the blues you ask? Keep On Rockin, brings to mind Fats Domino via 2014, guests Diunna Greenleaf blows the roof off the gospel Baby, It Ain’t You and Eric Bibb shuffles up the ante on Two Sides. My fave track is the killer horn charts and groove to You Bring The Jungle Out of Me. It’s Vancouver uptown blues, meets New Orleans. Powder Blues front man and producer Tom Lavin completely captures Wayne’s essence and then some with some focused playing from some very hip players on this session. They don’t make records this warm anymore so bravo to everyone involved. When your wife likes a blues artist that you pop into the cd player and your neighbours say “who is that playing?” it’s all good. 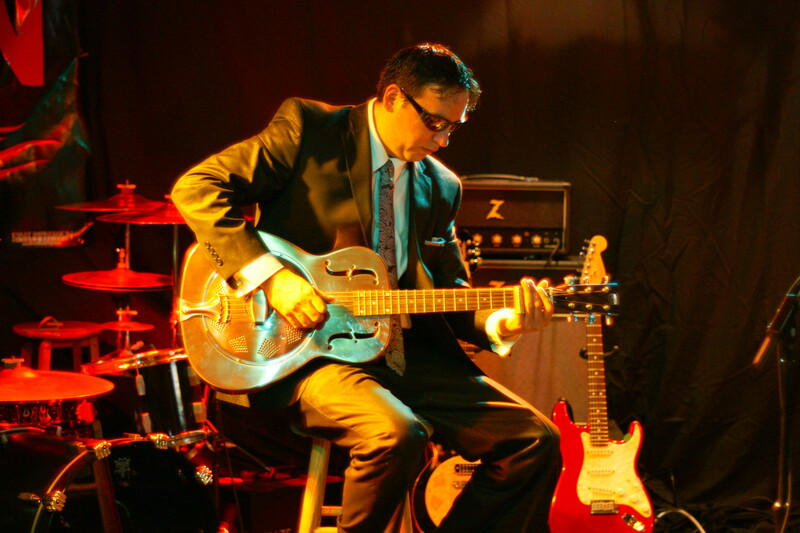 Joel Johnson is one hell of a blues axe man and vocalist. To top it off, I can’t say how many new young blues players I enjoy from first listen. It’s not a big number, but Johnson is one of them. This is a modern blues recording. Punchy big sound but with traditional feel. If you think of Albert Cummings or the groove of Guitar Shorty you will get the idea. From the start Johnson rips off impressive lead solos on Out of My Mind, the funky Raise Your Wind, and the slow blues horn infused I’ll Be Just Fine, where he really lays down an impressive lead vocal to go with the exciting chops. An instrumental nod to Luther Allison and covers of Crossroads and Little Wing are included but Johnson works best on his own tracks. A little more variation on the song-writing side in the manner of Tommy Castro, and Walter Trout’s work would be cool but Johnson rocks hard and true. The backing band of keyboard man Wayne Dagenais, drummer Mike Fitzpatrick and bassist Steve Pelletier are flexible and always in the pocket, and give a big boost to the overall band feel on the tracks. Your going to like this cd a lot!!! The easiest thing you can do is listen to solid musicians play for the joy of it. If you mix in a tribute to Muddy Waters, his music, his son Mud, Kim Wilson and the groove these cats put out it’s a no brainer. This album is a winner, because you can’t fake real blues feel. On tracks like Gone to Main Street, I Want You to Love Me and Nineteen Years Old it’s clear the organic nature of chops by guitar man Billy Flynn, and piano man Barrelhouse Chuck just kill at every turn. That is the key to the whole entire cd in a nutshell. 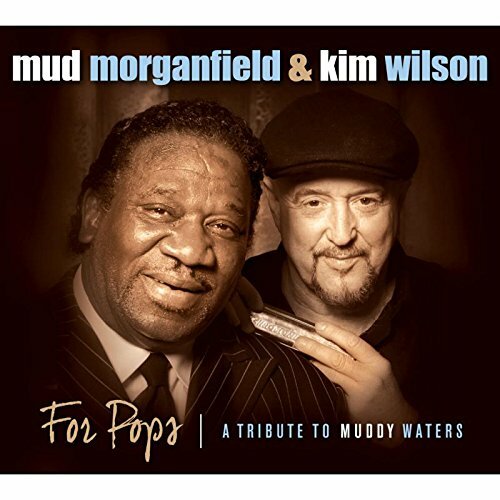 It’s Mud’s convincing vocal work and Kim Wilson and the band just rolling and tumbling. Nobody is saying that on the 100th anniversary of Muddy Water’s birth young blues fans should not check out his entire catalogue, but by god these guys nailed this session. Slip this cd on, grab a drink, and turn it up! !